The most significant tax changes in the United States (in more than 30 years) took place in December 2017 in the form of the Tax Cuts and Jobs Act. 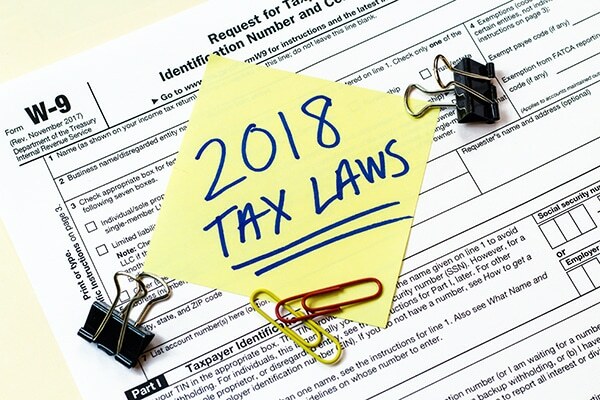 Fast forward to present day, as Americans are gearing up to file their taxes for 2018, and these new revisions to the tax code are front and center. Why? Because they have a big impact on your filing – both from an individual, family and business perspective. While we can’t dive into how this reform affects every aspect of business and life, we’d like to focus on the real estate industry in particular. Realty professionals will need to approach tax reform from three different angles: how does the reform impact your business in general, your future real estate prospects, and the future purchasing power of your clients? We at Kroon & Mitchell specialize in integrated tax and investments, and recently presented at the Michigan Realtors Convention at Grand Traverse Resort. Below, we share our key insights into the how the 2018 tax reform will impact your real estate business and clients. How do New Tax Code Changes Impact my Business in General? One of the biggest changes can be found in the income tax brackets themselves. 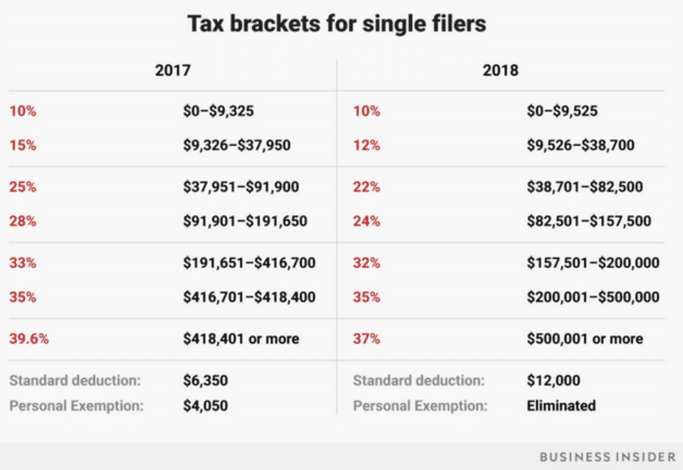 Refer to the charts below to see how your taxable income from 2017 will be taxed in 2018. 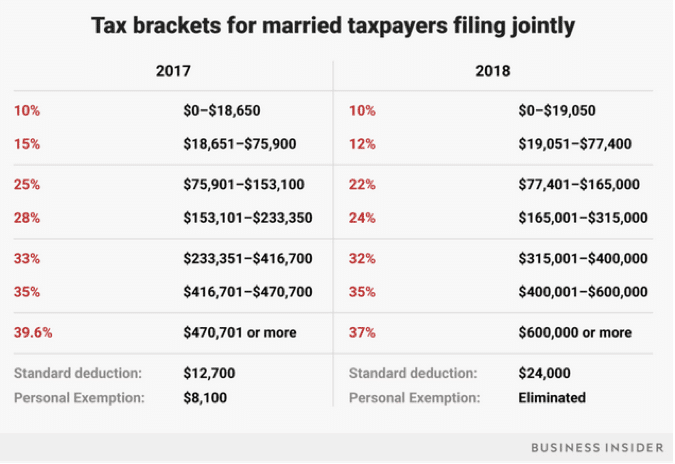 You’ll find the tax brackets have expanded for many, with slightly lower percentages overall. Entertain expenses (sport or concert tickets, entertainment related meals, etc.) are not deductible. An office holiday party is 100% deductible. Client business meals are 50% deductible if business is conducted, the taxpayer is present, and it’s not extravagant. As a Real Estate Professional, What Opportunities do I Have to Capitalize on the New Tax Code? With the new reform, unique options exist for those in the real estate industry. For the most part, real estate professionals are considered independent contractors for the real estate firm they represent (aka they are small business owners). Like a small business owner, realty agents have the ability to set-up their own independent retirement plan that can significantly lower taxable income. Managing your taxable income is paramount within the real estate field as it can vary significantly from one year to the next. The average non-business owner (under 50 years old) can put up to $19K in their 401k. Depending on their business income, a real estate professional could contribute up to $55K into a solo 401k in tax year 2019. That’s a big difference and very tangible way realty agents can lower their taxable income. There are various retirement tools highlighted below that show the potential contributions levels for real estate agents based on the type of retirement plan they choose to set-up (SEP IRA, Solo 401k, or Simple IRA). 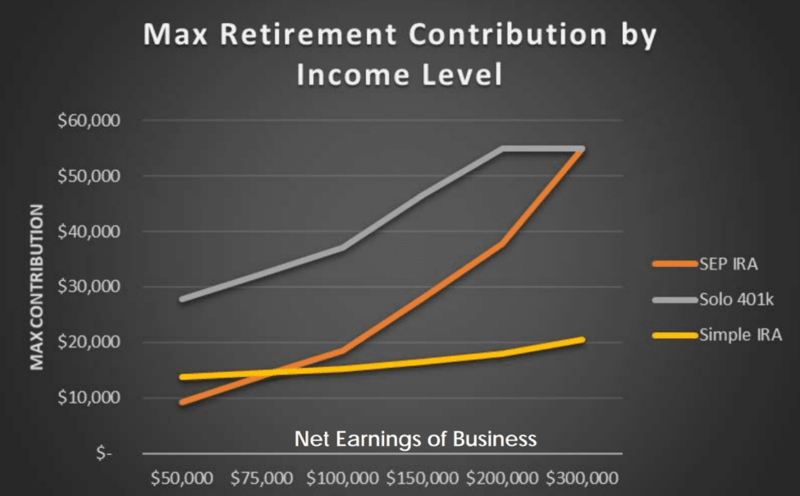 By pushing a large chunk of taxable income into a retirement plan (as noted in the graphic above) realtors would pay less tax now, but in addition, reap future benefits that go along with a strong retirement plan and investment portfolio. A Health Savings Account is another way to lower your taxable income. It allows you to save pre-tax dollars, using that money for health-related expenses as you normally would anyways, while lowering your taxable income at the same time. In tax year 2019, the maximum yearly contribution to a Health Savings Account is $3,450 for single individuals and $6,900 for families. What Does the Tax Reform Mean for my Clients? Under the new code, mortgage interest is deductible on mortgages of up to $750K (down from $1 million) for those filing jointly. The change applies to new mortgages after December 15th, 2017, but private mortgage insurance has not been renewed (yet). For those who itemize State and Local tax (do not take the standard deduction) deductions are limited to $10K (joint filing) and $5K (single), and property taxes are included in this calculation. Keep in mind that many of these changes are currently temporary and set to revert by January 1st, 2026, though there is talk of making these changes more permanent. Regardless, it’s important to stay abreast of the tax changes and how they impact your business and your clientele. Set up a consultation with the tax and investment professionals at Kroon & Mitchell to see how your realty business can benefit most from the 2018 tax reform, now and in the future. Keep up with the latest tax and financial insights. Thanks for subscribing! Check your inbox soon for new content. © 2018 Kroon & Mitchell. All Rights Reserved.